Boo-Hoo!!! This is a late November Haul and this time I bought stuffs from Avon and Watson. I was busy with my things and I was trying to move my blog from Wordpress to Blogger and all. Well, I can list out a thousand pages of reasons but it doesn't give a fact that I shouldn't apologize for my late blog entry. Therefore, I am sorry peeps!!! I didn't buy much on November. I only bought 3 items from Avon and boy, they are AWESOME!!! First of, I will introduce you to this love red toiletries bag. It have 3 outer zippers, another zipper in the large compartment for a small pocket and 2 pocket which also in the large compartment. A small zipper compartment to put some small stuff and a loop to hang the bag to a hanger. 2 sides compartment which can fit in a whole large tube of the St. Ives Apricot Scrub. Front view wear you can see that there are 2 pocket inside the main compartment. A big space for you to fit in your stuff!! Next, is the Avon Ideal Shade tinted makeup base in Mint (Green). This makeup base is not meant for the whole face. I only apply this on area that has redness like on the blemishes, nose area, and around my mouth. It has a sheer formula but I can still see greenish tint on it. It is absolutely not thick nor it is runny, satin finish but not shimmery. To be wear under foundation. I wore liquid & gel foundation, BB cream and loose powder and they all look good. It is not oily, it doesn't breaks me out . It has weird smell, though not overwhelm enough to irritate me nose. But do aware that if you have oily slickly skin like mine, do avoid using this with dual powder foundation. It looks like the powder foundation cannot blends in to the makeup base on my skin after 3 to 4 hours of application. 25g net wt. Simple tube. I like the shape of the mouth of the tube. I believe that it does help me to control the amount of the product that I need. I am not sure if you can see this. It is minty green tinted. Last but not least, is the Avon Clearskin Blemish Clearing Advanced Spot Control. I love this product. It is my daily routine to put on topical medication for my blemishes. I cover my whole face with a thin layer of this product. It contains 2% of Salicylic Acid and also helps to reduce blemish size, swelling and redness. I use this with the DHC Salicylic Face Milk so that my skin would not dry out. This helps me a lot to control my acne. 25 mL with improved packaging. I forgot how the old bottle looks actually. Small mouth to control the amount of product that the user needs. Clear formula. If you leave the prodct to long on a surface, it would evaporate. So spread only the amount that you need and put it on the area that you would like to ASAP! I rarely have the chance to use the tinted makeup base for long wearing. But does look good with the Revlon PhotoReady Foundation. And the Clearskin Blemish Clearing would not mattify your face on makeups as wll. So do be aware. For the Watson Haul, I only bought 3 items also, so here we go! I have good things to say about this product. I really work but you just have to give it times to do its job. It adsorb secretion or should I say the puss from your acne. I have tried many times and it really works great on Nodules, pustules and cystic acne. It says that it also work on whiteheads and blackheads, but it did not. However, it does helps to prevent infection after squeezing your acne though. I have been using this brand for deodorant since the start of my pubescent and it helps me a lot for my body odor. I used to use the one that called 'White' because I like how it smells and change back and forth with the other Rexona which has purple cap. 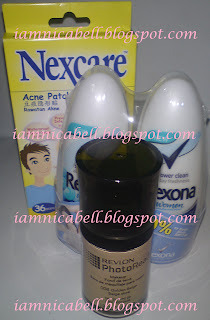 However, Rexona widen their range and launch the Shower Clean which I been hooked on till now. I usually buy the spray one but I just bought this one because they were on sale! 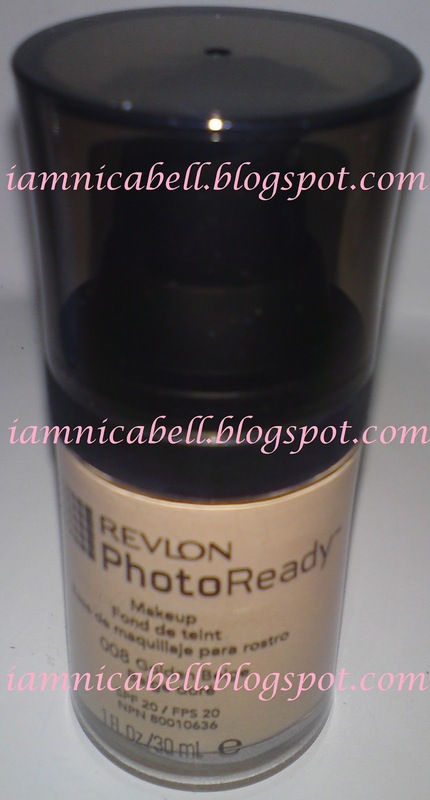 This is an amazing product from Revlon!! I used to use foundation from Maybelline NY but I found my new muse in Revlon. I use to think that Maybelline is for the hip young adult while Revlon is more for the older/ matured adult. Boy, how wrong I am. It is definitely not about how young or how old you are. It is more about what is your style and which type of product suits you. I cannot used most Maybelline product solely because my skin cannot accept them. The only Maybelline that I was able to use is the Clear Smooth AQUA Gel Foundation. The rest is just unacceptable. May be it was my wrong technique on applying or whatever it is. 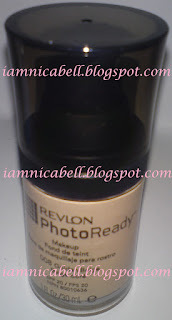 Revlon PhotoReady Foundation is definitely a must have drugstore brand foundation. It is affordable, it won't break you out, great coverage and blend well on my skin! I am done for the November haul and stay tune for the December haul! !